It is my contention that spurious accusations of copyright infringement can be used to suppress videos that are not liked, in certain circles, and that YouTube's reporting procedure favours the accuser over the accused, who is not even given the minimum amount of information necessary to be able to challenge any claim, let alone a false one. Commentary: listening to these experts on Russia Today makes me wonder whether the western corporate media is, yet again, engaging in another cover-up to protect its corporate and political bosses. To get a good idea of the real extend of the damage suffered by the Fukushima nuclear plant please click here for some high resolution overhead pictures. I think that this is a spurious action; an attempt to infringe my right to freedom of speech and expression under Article 20 of the United Nations Declaration of Human Rights. While making the video in question I was careful to ensure that any material noted as being the subject of a copyright notice was not used. Furthermore, I have been unable to find any reference to a person named James Allan Khan on the Internet, using Google's search engine. If the accuser, James Allan Khan can demonstrate otherwise, I will remove the material in question and re-upload the edited video. If not, I think that it is incumbent on the owners of YouTube to try and prevent Mr. Kahn and others like him from stifling a free exchange of ideas on its otherwise excellent website. One of the main issues I have with being accused of a copyright infringement, and having one of my videos suspended, more accurately suppressed, is that my accuser was not, apparently, required to make any specific charge as to what image or images or quoted text he has based his claim on (the only musical content in the video is my own work: a single chord). Accusers should be bound to give YouTube's legal department a reasonable amount of detail regarding the alleged infringement—at the very least the item that has been allegedly infringed—and this should be passed on to the alleged culprit, who should be given a reasonable amount of time to dispute such a claim, before any action is taken. Shortly, I will be uploading a video regarding this notice, giving others the benefit of what I have learned from what I think is a spurious attack on my right to freedom of expression as well as my time in having to respond to what I regard as a nuisance accusation. If Blogger also removes this video, I will make it available for download from Rapidshare, Megaupload, Mediafire, The Pirate Bay, Demonoid, Torrent411, Rutor, Rutracker, OneBigTorrent, Wawa-Mania, Quebec-team, TorrentSpain and whatever number of file hosting sites needed to keep it available to those who care about the truth. Let's start with the fierce hand-to-hand combat between members of the coalition, arguing about the basic aims of the operation. How does "take all necessary measures" square with the ban on any "foreign occupation force of any form on any part of Libyan territory". Can the coalition kill Gaddafi and recognise a provisional government in Benghazi? Who exactly are the revolutionaries and national liberators in eastern Libya? In the United States, the offensive was instigated by liberal interventionists: notably three women, starting with Samantha Power, who runs the Office of Multilateral Affairs and Human Rights in Barack Obama's National Security Council. She's an Irish American, 41 years old, who made her name back in the Bush years with her book A Problem from Hell, a study of the US foreign-policy response to genocide, and the failure of the Clinton administration to react forcefully to the Rwandan massacres. She had to resign from her advisory position on the Obama campaign in April of 2008, after calling Hillary Clinton a "monster" in an interview with the Scotsman, but was restored to good grace after Obama's election, and the monster in her sights is now Gaddafi. America's UN ambassador is Susan Rice, the first African-American woman to be named to that post. She's long been an ardent interventionist. In 1996, as part of the Clinton administration, she supported the multinational force that invaded Zaire from Rwanda in 1996 and overthrew dictator Mobutu Sese Seko, saying privately that, "Anything's better than Mobutu". But on February 23 she came under fierce attack in the Huffington Post at the hands of Richard Grenell, who'd served on the US delegation to the UN in the Bush years. Grenell dwelt harshly on instances where, in his judgment, Rice and her ultimate boss, Obama, were dropping the ball, and displaying lack of leadership amid the tumults engulfing the Middle East and specifically in failing to support the uprising against Gaddafi. Both Susan Rice and Hillary Clinton took Grenell's salvo to heart. Prodded by the fiery Power, they abruptly stiffened their postures and Clinton lobbed her furious salvoes at Gaddafi, "the mad dog". For Clinton it was a precise re-run of her efforts to portray Barack Obama as a peace wimp back in 2008, liable to snooze all too peacefully when the red phone rang at 3am. For his part, Obama wasn't keen on intervention, seeing it as a costly swamp, yet another war and one bitterly opposed by defence secretary Robert Gates and the joint chiefs of staff. But by now the liberal interventions and the neo-cons were in full cry and Obama, perennially fearful of being outflanked, succumbed, hastening to one of the least convincing statements of war aims in the nation's history. He's already earned a threat of impeachment from leftist congressman Dennis Kucinich for arrogating war-making powers constitutionally reserved for the US Congress, though it has to be said that protest from the left has been pretty feeble. As always, many on the left yearn for an intervention they can finally support and initially many of them have been murmuring ecstatically, "This is the one". Of course the sensible position (mine) simply states that nothing good ever came out of a Western intervention by the major powers, whether humanitarian in proclaimed purpose or not. So much for the instigators of intervention in the US. In France the intervention author is the intellectual dandy and "new philosopher" Bernard-Henri Levy, familiarly known to his admirers and detractors as BHL. As described by Larry Portis in our CounterPunch newsletter, BHL arrived in Benghazi on March 3. Two days later BHL was interviewed on various television networks. He appeared before the camera in his habitual uniform – immaculate white shirt with upturned collar, black suit coat, and disheveled hair. His message was urgent but reassuring. "No," he said, "Gaddafi is not capable of launching an offensive against the opposition. He does not have the means to do so. However, he does have planes. This is the real danger." BHL called for the scrambling of radio communications, the destruction of landing strips in all regions of Libya, and the bombardment of Gaddafi's personal bunker. In brief, this would be a humanitarian intervention, the modalities of which he did not specify. Next step, as BHL explained: "I called him [Sarkozy] from Benghazi. And when I returned, I went to the Elysee Palace to see him and tell him that the people on the National Transition Council are good guys." Indeed, on March 6, BHL returned to France and met with Sarkozy. Four days later, on March 10, he saw Sarkozy again, this time with three Libyans whom he had encouraged to visit France, along with Sarkozy's top advisors. On March 11, Sarkozy declared the Libyan National Transition Council the only legitimate representative of the Libyan people. Back in Benghazi, people screamed in relief and cheered Sarkozy's name. Popularity at last for Sarko, whose approval ratings in France have been hovering around the 20 per cent mark. In fact, two documents strongly back Gaddafi on this issue. The first is a secret cable to the State Department from the US embassy in Tripoli in 2008, part of the WikiLeaks trove, entitled "Extremism in Eastern Libya", which revealed that this area is rife with anti-American, pro-jihad sentiment. The second document, or rather set of documents, are the so-called Sinjar Records, captured al-Qaeda documents that fell into American hands in 2007. They were duly analysed by the Combating Terrorism Center at the US Military Academy at West Point. Al-Qaeda is a bureaucratic outfit and the records contain precise details on personnel, including those who came to Iraq to fight American and coalition forces and, when necessary, commit suicide. The West Point analysts' statistical study of the al-Qaeda personnel records concludes that one country provided "far more" foreign fighters in per capita terms than any other: namely, Libya. The records show that the "vast majority of Libyan fighters that included their home town in the Sinjar Records resided in the country's northeast". Benghazi provided many volunteers. So did Dernah, a town about 200 kms east of Benghazi, in which an Islamic emirate was declared when the rebellion against Gaddafi started. New York Times reporter Anthony Shadid even spoke with Abdul-Hakim al-Hasadi who promulgated the Islamic emirate. Al-Hasadi "praises Osama bin Laden's 'good points'," Shadid reported, though he prudently denounced the 9/11 attacks on the United States. Other sources have said that this keen admirer of Osama would be most influential in the formation of any provisional government. As former CIA operations officer Brian Fairchild writes, amid "the apparent absence of any plan for post-Gaddafi governance, an ignorance of Libya's tribal nature and our poor record of dealing with tribes, American government documents conclusively establish that the epicentre of the revolt is rife with anti-American and pro-jihad sentiment, and with al-Qaeda's explicit support for the revolt, it is appropriate to ask our policy makers how American military intervention in support of this revolt in any way serves vital US strategic interests". As I wrote here a few weeks ago, "It sure looks like Osama bin Laden is winning the Great War on Terror". But I did not dream then that he would have a coalition of the US, Great Britain and France bleeding themselves dry to assist him in this enterprise. Libya : popular uprising, civilian war or military attack? Note: I am publishing this interview "for your information", as an interesting discussion. I am neither endorsing nor denouncing the views of Mohammed Hassan. I will say that Michel Collon is one of the very best reporters in Europe for whom I have a great deal of respect. Over the last three weeks there have been confrontations between troops loyal to Colonel Gaddafi and opposition forces based in the east of the country. After Ben Ali and Mubarak, will Gaddafi be the next dictator to fall ? Can what is happening in Libya be compared to the popular uprisings in Tunisia and Egypt ? What can be made of the antics and u-turns we have seen from the Colonel ? Why is NATO preparing for war ? How do you tell the difference between a good Arab and a bad Arab ? In this latest chapter of our series ‘Understanding the Muslim world’, Mohammed Hassan replies to questions put by Investig’Action. After Tunisia and Egypt, has the Arab revolution reached Libya ? What is hapening at the moment in Libya is different. In Tunisia and Egypt, the lack of freedom was flagrant. However, it was the appalling social conditions which really drove young people to rebel. The Tunisians and Egyptians had no hope for the future. In Libya, Muammar Gadaffi’s regime is corrupt, monopolises a large part of the country’s wealth and has always severely repressed any opposition. But the social conditions of Libyan people are better than in neighbouring countries. Life expectancy in Libya is higher than in the rest of Africa. The health and education systems are good. Libya, moreover, is one of the first African countries to have eradicated malaria. While there are major inequalities in the distribution of wealth, GDP per inhabitant is about $11,000 – one of the highest in the Arab world. You will not therefore find in Libya the same objective conditions that led to the popular uprisings in Tunisia and Egypt. How then do you explain what is happening in Libya ? In order to understand current events properly, we should place them in their historic context. Libya was formerly an Ottoman province. In 1835 France took over Algeria. Meanwhile Mohamed Ali, the Egyptian governor under the Ottoman Empire, was implementing ever more independent policies. With the French installed in Algeria on the one hand, and Mohamed Ali in Egypt on the other hand, the Ottomans were fearful of losing control of the region. They sent their troops to Libya. At the time the Senoussis Brotherhood was highly influential in the country. It had been founded by Sayid Mohammed Ibn Ali as Senoussi, an Algerian who, after studying in his own country and in Morocco, went to preach his version of Islam in Tunisia and Libya. At the start of the 19th century, Senoussie began to attract numerous followers, but he was not much appreciated by certain of the Ottoman religious authorities who criticised him in their sermons. After spending some time in Egypt and in Mecca, Sennoussi decided to exile himself permanently in Cyrenaica, in the east of Libya. His Brotherhood grew there and organised life in the región, levying taxes, resolving disputes between tribes, etc. It even had its own army and offered its services escorting merchants’ caravans passing through the area. Finally his Senoussis Brotherhood became the de facto government of Cyrenaica, expanding its influence even as far as northern Chad. But then the European colonial powers installed themselves in Africa, dividing the sub-Saharan part of the continent. That had a negative impact on the Senoussis. Libya’s invasion by Italy also seriously undermined the Brotherhood’s regional hegemony. In 2008 Italy paid compensation to Libya for the crimes of the colonialists. Was colonisation as terrible as all that ? Or did Berlusconi want to be seen in a good light in order to be able to conclude commercial contracts with Gaddafi ? The colonisation of Libya was dreadful. At the beginning of the 20th century, a fascist government began spreading propaganda claiming that Italy, which had been defeated by the Ethiopian army at the battle of Adoua in 1896, needed to re-establish the supremacy of the white man over the black continent. It was necessary to cleanse the great civilised nation of the affront inflicted on it by the barbarians. This propaganda claimed that Libya was a country of savages, inhabited by a few backward nomads and it would be good for Italians to instal themselves in this pleasant region with its picture postcard beauty. The invasion of Libya arose out of the Italian-Turkish war of 1911 – a particularly bloody conflict which ended in victory for Italy a year later. Nevertheless, the European power only gained control of the Tripoli region and met with fierce resistance in the rest of the country, especially in Cyrenaica. The Sennousi clan supported Omar al-Mokhtar who led a remarkable guerrilla struggle in the forests, caves and mountains. He inflicted serious losses on the Italian army, although the latter was much better equipped and numerically superior. In 2008, Silvio Berlusconi paid compensation to Libya for these colonial crimes. Of course it was based on ulterior motives. Berlusconi wanted to get himself into Gaddafi’s good books in order to facilitate economic partnerships. Nevertheless, one can say that the Libyan people suffered terribly under colonialism. It would be no exaggeration to speak in terms of genocide. How did LIbya win its Independence ? While the Italian colonists were suppressing the resistance in Cyrenaica, the Senoussis leader, Idriss, exiled himself in Egypt in order to negotiate with the British. After the Second World War, the European colonial empire was gradually dismantled and Libya became independent in 1951. Supported by Britain, Idriss took power. However, part of the Libyan bourgeoisie, under the influence of Arab nationalism that was developing in Cairo, wanted Libya to become part of Egypt. But the imperialists did not want to see a great Arab nation formed. They therefore supported the independence of Libya by putting their puppet, Idriss into power. Did King Idriss go along with all this ? Absolutely. At independence, the three regions that made up Libya – Tripolitana, Fezzan and Cyrenaica – found themselves united in a federal system. But it should be borne in mind that Libya is three times larger than France. Because of a lack of infrastructure, the borders of this territory could not be clearly defined until after the aeroplane had been invented. And in 1951, the country only had 1 million inhabitants. Furthermore, the three regions that had just been united had a very different culture and history. Finally, the country lacked roads linking the regions to facilitate communication. Libya was in fact at a very backward stage, and it was not a true nation. Can you explain this concept ? The nation state is aconcept linked to the appearance of the bourgeoisie and of capitalism. In Europe in the middle ages, the capitalist bourgeoisie desired to spread its business interests on as wide a scale as possible, but was impeded in by all the constraints of the feudal system. Territories were divided up into numerous tiny entities which imposed on merchants a large number of taxes if they wanted to transport merchandise from one place to another. And this is without taking into account the various obligations they had to perform for the feudal lords. All these obstacles were removed by the capitalist bourgeois revolutions which allowed them to create nation-states, and big national markets, without obstacles. But the Libyan nation was created at a time when it was still at a pre-capitalist stage. It lacked the infrastructure ; a large part of the population was nomadic and impossible to control ; divisions within society were very strong ; slavery was still practised. Furthermore King Idriss had no plan for developing the country. He was entirely dependent on US and British aid. Why did he receive the support of the US and Britain ? Was it to do with oil ? In 1951 Libyan oil had not yet been discovered. But the Anglo-Saxons had military bases in the country because it occupies a strategic position from the point of view of control of the Red Sea and the Mediterranean. It was only in 1954 that a rich Texan, Nelson Bunker Hunt, discovered Libyan oil. At the time Arab oil was being sold at around 90c a barrel. But Libyan oil was bought for 30c because the country was so backward. It was perhaps the poorest in Africa. But money was nevertheless coming in thanks to oil. What was it used for ? King Idriss and his Senoussis clan enriched themselves personally. They also distributed part of the oil revenues to the heads of other tribes in order to pacify tensions. A small élite developed thanks to the oil trade and some infrastructure was built, principally along the Mediterranean coast, the area of greatest importance for external trade. But the rural areas in the heart of the country remained very poor and large numbers of the poor began to flood into slums around the cities. This continued until 1969 when three officers overthrew the king, one of whom was Gaddafi. How come the revolution was carried out by army officers ? In a country deeply rent by tribal divisions, the army was in fact the only national institution. Libya as such did not exist except through its army. Alongisd this, King Idriss’s Senoussis had their own militia. But in the national army, Libyans from the different regions could get to know each other. Gaddafi had at first developed as part of a Nasserite group, but then came to understand that this organisation would not be able to overthrow the monarchy, so he joined the army. The three officers who overthrew King Idriss were very much influenced by Nasser. Gamal Abdel Nasser was himself an officer in the Egyptian army that overthrew King Farouk. Inspired by socialism, Nasser was opposed to the interference of foreign neo-colonialism and preached the unity of the Arab world. Moreover he nationalised the Suez Canal, which had until then been managed by France and the UK, which attracted the hostility of the West and bombing in 1956. The revolutionary pan-Arabism of Nasser was a major influence in Libya, especially in the army and over Gaddafi. The Libyan officers who carried out the coup d’état in 1969 were following the same agenda as Nasser. What were the effects of the revolution on Libya ? Gaddafi had two options. Either he could leave Libyan oil in the hands of western companies, as King Idriss had done – with Libya becoming like one of the oil monarchies of the Gulf where slavery is still practised, women have no rights and European architects can indulge themselves in building all kinds of bizarre constructions with astronomical budgets supplied at the end of the day from the wealth of the Arab peoples. Or he could follow the road of independence from the neo-colonial powers. Gaddafi chose the second option. He nationalised Libyan oil, greatly angering the imperialists. Gaddafi is not a bad Arab because he ordered the crowd to be fired on. The same thing was done in Saudi Arabia or in Bahrain and the leaders of those countries still receive all the honours the West can confer. Gaddafi is a bad Arab because he nationalised Libyan oil, which the western companies believed – until the 1969 revolution, to be their own. By doing this, Gaddafi brought about positive changes in Libya in what concerns infrastructure, education, health, the position of women, etc. Well, Gaddafi overthrew the monarchy, nationalised oil, opposed the imperial powers and brought about positive changes in Libya. Nevertheless, 40 years later, he is a corrupt dictator which suppresses all opposition and who is once again opening his country to western companies. How do you explain that change ? From the start, Gaddafi was opposed to the great colonial powers and generously supported various liberation movements throughout the world. I think he was very good for that reason. But to give the full picture, it is also necessary to mention that the Colonel was an anti-communist. In 1971, for example, he sent back to Sudan an aeroplane which was carrying Sudanese communist dissidents who were immediately executed by President Nimeiri. The truth is that Gaddafi has never been a great visionary. His revolution was a bourgeois national revolution and what he established in Libya was state capitalism. To understand how his regime lost its way, we must analyse the context – which has gone against it – and also the personal mistakes made by Gaddafi. First of all, we have seen that Gaddafi had to start from scratch in Libya. The country was very backward. There were no educated people at his disposal or strong working class to support the revolution. Most of the people who had received education were members of the élite who had bartered Libya’s wealth to the neo-colonial powers. Obviously these people weren’t going to support the revolution and most of them left the country in order to organise opposition from abroad. Besides, the Libyan officers who overthrew King Idriss were much influenced by Nasser. Egypt and Libya sought to tie up a strategic partnership. But when Nasser died in 1970, this project was dead in the water and Egypt became a counter-revolutionary country aligned with the West. The new Egyptian president, Anwar Sadat, allied himself with the US, progressively liberalised the country’s economy and entered into an alliance with Israel. A brief conflict even broke out with Libya in 1977, Imagine the situation in which Gaddafi found himself : the country which had inspired him and with which he had been hoping to set up an important alliance had suddenly become an enemy ! Another element of the situation worked against the Libyan revolution : the major fall in oil revenues during the 1980s. In 1973, at the time of the Israeli-Arab war, the oil-producing countries decided to impose an embargo that caused the price of a barrel of oil to shoot up. This embargo brought about the first great transfer of wealth from the North in the direction of the South. But during the 1980s there also took place what one could call an oil counter-revolution orchestrated by Reagan and the Saudis. Saudi Arabia increased its production considerably and flooded the market, causing a massive drop in prices. The barrel went down from $35 to $8. Wasn’t Saudi Arabia shooting itself in the foot ? Of course this had a negative impact on the Saudi economy. But oil is not the most important thing for Saudi Arabia. Its relationship with the US matters most, because it is the support of Washington that allows the Saudi dynasty to stay in power. This tidal wave affecting the oil price proved catastrophic for several petrol-producing countries who fell into debt. All this happened only 10 years after Gaddafi came to power. The Libyan leader, who came from nothing, was seeing the only means he had to build anything disappear like molten snow as the oil money dwindled. It should also be borne in mind that this oil counter revolution also accelerated the collapse of the USSR which at the time was bogged down in Afghanistan. With the disappearance of the Soviet bloc, Libya lost its major source of political support and found itself isolated on the international scene, and moreover featured on the Reagan administration’s list of terrorist states and was subjected to a whole series of sanctions. What were Gaddafi’s mistakes ? As I have said, he wasn’t a great visionary. The theory developed in connection with his Green Book is a mix of anti-imperialism, Islamism, nationalism, state capitalism and other things. Besides his lack of political vision, Gaddafi made a serious mistake in attacking Chad in the 1970s. Chad is Africa’s 5th largest country and the Colonel, no doubt feeling Libya was too small to accommodate his megalomanic ambitions, annexed the Aozou Strip. It is true that historically the Senoussis Brotherhood had exercised its influence on this region. And in 1945 the French Foreign Minister, Pierre Laval, wanted to buy off Mussolini by offering him the Aozou Strip[i]. But in the end Mussolini drew close to Hitler and the deal remained a dead letter. Gaddafi nevertheless wanted to annexe this territory and engaged in a struggle against Paris for influence over this former French colony. In the end, the US, France, Egypt, Sudan and other reactionary forces in the region supported the Chadian army which defeated the Libyan trops. Thousands of soldiers and large quantities of arms were captured. The President of Chad, Hissène Habré, sold these soldiers on to the Reagan administration ; and the CIA used them as mercenaries in Kenya and Latin America. But the Libyan revolution’s biggest mistake was to have bet too heavily on its oil. It is human resources that are a country’s greatest wealth. You cannot succeed in a revolution if you do not develop national harmony, social justice and a fair distribution of wealth. However, the Colonel never eliminated the discriminatory practices that had long been a tradition in Libya. How can you mobilise the population if you do not prove to the Libyans that whatever their ethnic or tribal backgrounds, all are equal and can work together for the good of the nation ? The majority of the Libyan population is Arab, speaks the same language and shares the same religion. Ethnic diversity is not very important. It would have been possible to abolish all discrimination in order to mobilise the population. Gadaffi was also incapable of educating the Libyan people in revolutionary matters. He did not raise the level of political consciousness of citizens and did not build a party to support the revolution. Nevertheless, in accordance with his 1975 Green Book, he did set up people’s committees, a kind of direct democracy. This attempt at direct democracy was influenced by Marxist-Leninist concepts. But these people’s committees in Libya were not based on any political analysis, or any clear ideology. They failed. Neither did Gaddafi build a political party to support his revolution. In the end, he cut himself off from the people. The Libyan revolution became a one-man project. Everything revolved around this charismatic leader divorced from reality. And while a gulf opened up between the leader and his people, force and repression step in to fill the void. Excess began to follow excess, corruption expanded and tribal differences crystallised. Today these divisions have come to the forefront in the Libyan crisis. There is of course a part of Libyan youth that is tired of the dictatorship and has been influenced by events in Tunisia and Egypt. But these popular sentiments are being taken advantage of by the opposition in the east of the country which is after its share of the cake, the distribution of wealth having been very unequal under the Gaddafi regime. It will not belong before the real contradictions see the light of day. Moreover we don’t know a great deal about this opposition movement. Who are they ? What is their programme ? If they really wanted to wage a democratic revolution, why have they resorted to he flags of King Idriss, symbols of the time when Cyrenaica was the country’s dominant province ? If you are part of a country’s opposition, and as a patriot you want to overthrow your government, you must try to do this correctly. You do not cause a civil war in your own country and you do not put it at risk of balkanisation. In your view, it is no longer just a question of a civil war resulting from contradictions between different Libyan clans ? It’s worse, I think. There have already been inter-tribal contradictions but they have never been so widespread. Here the US is fanning the flames of these tensions in order to be able to intervene militarily in Libya. From the very first days of the insurrection, the Secretary of State, Hillary Clinton, was suggesting arming the opposition. From early on the opposition organised by the National Council refused all foreign interference on the part of foreign powers because they knew that any such interference would discredit their movement. But today some of the opposition are calling for armed intervention. Since this conflict broke out, President Obama has called for all possible options to be considered and the US Senate is calling on the international community to impose a no-fly zone over Libyan territory, which would be a real act of war. Moreover the nuclear aircraft carrier, USS Enterprise, which was stationed in the Gulf of Aden to counter piracy, has travelled up to the Libyan coast. Two amphibian ships, USS Kearsage and USS Ponce, with several thousands of marines and fleets of combat helicopters aboard, have also been stationed in the Mediterranean. Last week, Louis Michel, former EU Development and Humanitarian Aid commissioner, forcefully raised the question in a TV studio as to which government would have courage to make the case to its parliament for the necessity of military intervention in Libya. But Louis Michel never demanded any such intervention in Egypt or Bahrain. Why was that ? Is the repression not more violent in Libya ? The repression was very violent in Egypt but NATO never sent warships to the Egyptian coast to threaten Mubarak. There was merely an appeal to find a democratic solution. In the case of Libya, it is necessary to be very careful with the information that reaches us. One day there is talk of 2,000 deaths, and the next day the count is revised to 300. It was also being said from the very start of the crisis that Gaddafi was bombing his own people, but the Russian army, which is observing the situation by satellite, has officially given lie to that information. If NATO is preparing to intervent militarily in Libya, we can be sure that the dominant information media are going to spread their usual war propaganda. In fact the same thing happened in Romania with Ceausescu. On Christmas Eve, 1989, the Belgian prime minister, Wilfred Martiens, made a speech on television. He claimed that Ceaucescu’s security forces had just killed 12,000 people. It was untrue. The images of the famous Timosoara massacre also did the rounds all over the world. They were aimed at proving the mindless violence of the Romanian president. But it was proved later on that it was all staged. Bodies had been pulled out of morgues and placed in trenches in order to impress journalists. It was also said that the communists had poisoned the water, that Syrian and Palestinian mercenaries were present in Romania, or even that Ceaucescu had trained orphans as killing machines. It was all pure propaganda aimed at destabilising the regime. In the end Ceaucescu and his wife were killed after a kangaroo court trial lasting 55 minutes. Of course, the Romanian president, like Gaddafi, was no choir boy. But what has happened since ? Romania has become a European semi-colony. Its cheap labour power is exploited. Numerous services have been privatised for the benefit of western companies and they are financially out of reach for a large part of the population. And now every year there is no shortage of Romanians who go to weep on Ceaucescu’s tomb. The dictatorship was a terrible thing, but after the country was destroyed economically, it’s even worse. Why did the US want to overthrow Gaddafi ? For the last ten years or so, the Colonel has been quite amenable to the West and privatised a large party of the Libyan economy, benefitting western companies in the process. One must analyse all these events in the light of the new balance of forces in the world. The imperialist powers are in decline, while other forces are on the rise. Recently China offered to buy the Portuguese debt ! In Greece, the population is more and more hostile to this European Union that it perceives as a cover for German imperialism. Similar feelings are growing in the countries of the East. Furthermore, the US attacked Iraq in order to get control of its oil, but in the end only one US company is benefiting ; the rest of the oil is being exploited by Malaysian and Chinese companies. In short, imperialism is in crisis. In addition, the Tunisian revolution really took the West by surprise. The fall of Mubarak even more so. Washington is attempting to regain its influence over these popular movements but its control is slipping away. In Tunisia, prime minister Mohamed Ghannouchi, a straightforward product of the Ben Ali dictatorship, was meant to control the transition, creating the illusion of change. But the people’s determination forced him to resign. In Egypt, the US was relying on the army to keep an acceptable system in place. But I have received information confirming that in very many military barracks around the country, young officers are organising themselves in revolutionary committees in support of the Egyptian people. They have even arrested certain officers associated with the Mubarak regime. The region could well escape US control. Intervention in Libya would allow Washington to smash this revolutionary movement and stop it spreading to the rest of the Arab world and to Africa. Since last week, the young have been rising in Burkina Faso but the media are quiet about this. As they are about the demonstrations taking place in Iraq. Another danger for the US is the possible emergence of anti-imperialist governments in Tunisia and Egypt. Should this happen, Gaddafi would no longer be isolated and could renege on the agreements concluded with the West. Libya, Egypt and Tunisia could unite to form an anti-imperialist bloc. With all the resources they have at their disposal, especially Gaddafi’s large foreign reserves, the thre of them could become a major regional power – probably more important than Turkey. Yet Gaddafi supported Ben Ali when the Tunisian people rebelled. That goes to show to what extent he is weak, isolated and out of touch with reality. But the changing balance of forces in the region could change matters. Gaddafi could shift his rifle to the other shoulder – it wouldn’t be for the first time. How could the situation in Libya pan out ? The western powers and the so-called opposition movement have rejected Chavez’s offer of mediation. This means that they are not interested in a peaceful solution to the conflict. But the effects of a NATO intervention would be disastrous. We have seen what that did to Kosovo or Afghanistan. Moreover, military aggression could encourage Islamic groups to enter Libya who might be able to seize major arms caches there. Al Qaeda could infiltrate and turn Libya into a second Iraq. Besides, there are aready armed groups in Niger that nobody has ben able to control. Their influence could extend to Libya, Chad, Mali and Algeria. By preparing for military intervention, imperialism is in the process of opening the gates of Hell. To conclude, the Libyan people deserve better than this opposition movement that is plunging the country into chaos. They need a real democratic movement to replace the Gaddafi regime and bring about social justice. In any case, the Libyans do not deserve military aggression. The retreating imperialist forces seem nevertheless to be preparing a counter-revolutionary offensive in the Arab World. Attacking Libya is their emergency solution. But they will be shooting themselves in the feet. I never cease to marvel at how inept and frankly stupid US special forces are. This is yet another example of the consequences this macho cowboy attitude inevitably results in. It is also a very fitting metaphor for what happens to those who become "friends" of the Empire. Dirar Abu Sisi, the Palestinian engineer abducted from the Ukraine by Israeli Mossad agents last month gave an account of the incident in which he was arrested to a lawyer from the Palestinian Center for Human Rights (PCHR) earlier this week, the NGO reported on Monday. On Sunday, Petah Tikva Magistrate's Court partially removed a publication ban and confirmed that Abu Sisi was being held at the Shikma Prison in Ashkelon. PCHR said that Abu Sisi told the lawyer that on February 19 he was traveling by train from Kharkov to Kiev to meet with his brother Yousef when three persons, two in military uniforms, entered his room on the train. They asked him to show his passport but he refused. Then they threatened him and forcefully took his passport. They forced him to get off the train at the nearby station of Poltava. Abu Sisi said that he was handcuffed, hooded and transported in a car to Kiev. Once in Kiev he was held in an apartment where there were another six persons who introduced themselves to be members of the Mossad. Abu Sisi said that the Mossad members immediately questioned him. The Palestinian engineer said he was then put on a flight that lasted between four and five hours before landing in a place unknown to him. Approximately thirty minutes later, they took off again and the flight lasted for approximately one hour. Upon landing Abu Sisi found himself in “Israel”. Abu Sisi told the PCHR lawyer that he was denied contact with a lawyer for fourteen days. This denial was extended for another eleven days. He said that he was placed under intensive interrogations and that he was denied his legal rights. After speaking with Abu Sisi, PCHR expressed doubts about previous reports that Ukranian authorities had colluded in the abduction. He was not legally arrested by Ukranian authorities and made no appearances in Ukranian courts. The human rights organization expressed concerns with Abu Sis's physical and mental health and called for his immediate release. Abu Sisi is the manager of the only power plant in the Gaza Strip. 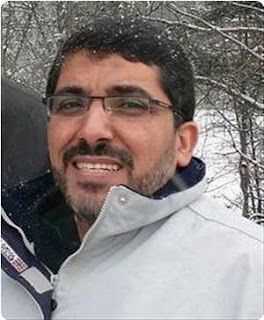 He is not known to have any direct ties with Hamas or other organizations, although it is likely that his senior position was the result of political affiliation. In interviews to foreign reporters, Abu Sisi’s wife Veronica, blamed the kidnapping on the Mossad, saying they did it to sabotage the Gazan power plant. I take refuge in Allah from the stoned devil. In the Name of Allah, The Compassionate, The Most Merciful. Praise be to Allah, The Lord of the world. Peace be on the Seal of prophets, our Master and Prophet Abi Al Qassem Mohammad and on his chaste and pure Household, chosen companions and all prophets and messengers. The gentle religionists, the gentle MPs, brothers, and sisters, God's peace, mercy and blessings be upon you. Today we meet to express our consolidation with our Arab peoples, their revolutions, uprisings, and sacrifices, mainly with the people of Tunisia - we have started chronologically - then Egypt, Bahrain, Libya, and Yemen. The value of this consolidation is spiritual, political, and ethical, as for its effects, they are primarily spiritual since the origin of what is going on today and what might determine the fate of an uprising here and a revolution there, a resistance here and a resistance there, is the steadfastness and resistance of the peoples. In the first place, this is with their faith and high spirits. You and I remember well the harsh days of the July War, the scandals of which we smell nowadays in Wikileaks. You remember well that in those days, any talk in any place of the world, any celebration, demonstration, sit-in, throng, speech, statement, or declaration affected well and positively the spirits of the Resistance, the steadfast, the dislodged, and the fighters. This is the case of the rebellious peoples these days. We are here today to tell them: We are with you, we support you, we press your hands, we feel glad when you do, and we are sad when you are. We supplicate to God to grant you victory, and we offer ourselves and say: We are ready to help and assist you with all that your sake and ours might require. We offer our capacities and capabilities to be by your side. I will speak - my brothers and sisters - about different topics and a group of common topics among these peoples. I will give a very brief word concerning every country, and I will tackle the issue of Bahrain a little bit more upon the sectarian controversy of the special issue, the special complexity present there, responsibilities, and required initiatives. Then I will leave some time to talk about the recent Lebanese developments, which need to be tackled. Firstly: We reiterate that these revolutions are the peoples' own wills. Any accusation that claims that America is behind these revolutions, has incited and stirred them, and is leading them represents a false, unjust accusation of these peoples, especially if we talk about these five systems, which are allies to America. They are systems that follow America and harmonize with it, that have offered and still offer services for the American plot, and that do not constitute any threat to the American policy - which is "Israel" in the Middle East Region. Is it logical that the American government criticizes obedient, harmonizing, submissive, and ally systems and incites popular revolutions? This is illogical, especially when America knows very well - upon polls, surveys, and public and intelligence information - that the awareness and insight of these peoples has now become obvious and that these peoples have a very aware, steadfast, and committed attitude against the American policy and government and against the presence of "Israel". Thus, how could the American government incite revolutions of peoples who are aware, have foresight and are well-determined, without knowing what consequences these revolutions will result in and what alternatives these peoples will produce at the level of governments and systems? So this is a false and unjust accusation. Had we been talking of a withstanding, resistant system that does not submit to the will of the United States of America or the American plot, a system that withstands and challenges Israel, a system that is then objected by protests, then we could have wondered - excluding prejudice - whether it is likely to be discussed that there are provocateurs and inciters against this system. But can some say that these are American revolutions against systems submissive to the U.S.A.? This is unaccepted - as is the ridiculous accusation of Al Qaeda to have incited the Libyan revolution and the ridiculous accusation of Iran to have provoked the uprising of the people in Bahrain. Secondly, I will be concise with the topics, as there is much to say. These are true, popular revolutions that people have launched - primarily youth - then men, women, children, and elders, who were followed by elites and then political powers. These revolutions are based on faith, awareness, anger, enthusiasm - and most important - great readiness for sacrifice. This is what the counteractive systems cannot ignore about these peoples. We have watched televisions and seen, with our own eyes, youth challenging guns to shoot them, and they were shot. We've seen this in Tunisia, Egypt, Bahrain, Yemen, and Libya. But it doesn't stop here; afterwards, other youth challenge bullets and guns. When such a people with this high determination, faith, awareness, readiness for sacrifice and patience in spite of the blood, martyrs, wounds, and house demolitions is present, it cannot be defeated. Not America, not Israel, and not any tyrannical regime in the world can conquer this people. This is a divine norm, a natural, divine law; hence, the sacrifices may be many, but in the end, steadfastness, determination, and enthusiasm lead to victory. This is evident through the history of revolutions, public uprisings, and recent and post resistant acts. Here lies the primary element of strength, which we find in these rebellious peoples. Accordingly, we issue our call in Lebanon, the country of the liberal Resistance in 2000 and the victorious Resistance in July, 2006 to tell these peoples that the only available and required choice is that you be quite steadfast and patient and that you have faith in God, the Supreme and Almighty, for if you are patient and steadfast and sustain your struggle and jihad, He shall support you and grant you victory. Thirdly: As concerns the reactions of these systems, what were the reactions to rightful, public revolutions with just, self-willing dependent, and determined requests? Instead of initiating an honest dialogue with representatives of these revolutions and uprisings and carrying out true and serious reformations with no hypocrisy or maneuvers, these systems have coerced, killed, tortured, accused, insulted, and humiliated the peoples. Those honorable peoples - in all arenas and domains - have been reviled with words like mice, rats, dopes, and sectarians. They were accused of belonging to Al Qaeda at places, of agency to America at other places, and the like. This has complicated issues in all of these countries and has ruined any possibility for dialogue. Thus, these peoples have elevated their requests and made greater expectations. When there are vast sacrifices and so many martyrs and wounded, issues become more difficult and consent of certain limits becomes difficult and impossible for these peoples and for their leaders that have been elaborated in the domains. However, great victory was achieved in both Egypt and Tunisia, while the Libyan system has driven Libya into a harsh internal war, and each of the Yemeni and Bahraini systems have placed their peoples at a close stance to civil war. Had the Yemenis and Bahrainis not insisted on peaceful movements in their countries, we would have witnessed bloody, miserable civil wars in these countries upon the performance of their regimes. Shallow reformations can be made at submissive regimes that the Americans can maintain. Besides, a short-termed chance could be given to the submissive regime to modify the battle with its people in case of avoided inner, serious repercussions. Then, in case the American government foresees that the battle will be very costly for American interests, it sets governors aside, asks them to leave, and mitigates as much damage as can be so as to satisfy the peoples or deceive them - bringing them back to their homes without the accomplishment of the revolutionary declared objectives. The American government exploits all of these scenarios to appear as the advocate of civil rights, peoples' freedom, change, and reformation. What we request today is that nobody in our Arabian, Islamic world be deceived. Certainly no one has been since the peoples now are quite conscious and enjoy high foresight as respects the American policies. They recognize that America has fabricated these regimes and has been protecting them for decades. The regimes' weaponry, reinforcement, and hegemony on their peoples have been handled by America. Consequently, the American government takes part in all of the crimes these regimes have committed against their peoples throughout all of the past years. Moreover, any American talk of protecting the peoples of our region, respecting legal and civil rights, and convicting coercion and horrifying acts enjoys no credibility. This is upon the declared, persistent American policy towards the oppressed Palestinian people. Days ago, the American government vetoed against the settlement construction halt while in the International Security Council session. The Palestinians are killed, shelled, and dislodged. Their houses, fields, and trees are destroyed. Eleven thousand Palestinians are detainees. The Islamic and Christian sacredness in Al Quds are endangered, but the Americans defend the killer, the murderer, the ravisher, the bone crusher, and he who shells the civilians' houses in Gaza with drone artillery. As long as this is the American policy towards Palestine and its people, every American talk of honest, sincere concern to defend the rights of the Egyptians, Tunisians, Libyans, Yemenis, Bahrainis, or others is hypocrisy. The American intervention actually aims at enhancing the American image, running the crisis, guaranteeing the convenient alternatives for the American plot where submissive regimes have failed to continue, or pursuing oil fields instead of letting them into the hands of sincere, honest patriots. This is the background of American intervention rather than the one Obama wants us to believe. It is not a different government; neither does it defend peoples. No, I ask the Arab peoples to keep their eyes wide open for Palestine because this American government supports "Israel" that is crushing the Palestinian people and assailing the peoples of the region. All the American allegations of human rights and democracy are false. We may reconsider the American government once we witness a radical evolution of the U.S.A. policies regarding Palestine and its people. This is why it is essential that the peoples be cautious with the American policies and attempts to pillage these revolutions and the martyrs' blood. The peoples should also be cautious with the unstoppable efforts at diverting the path of public revolutions, at dividing Arab countries, and at inciting a civil open war. These are grave dangers that serve the American alternative plot for our region. - The public abandonment of the regime - This is really important. For instance, the regime of Zeinul Abideen Bin Ali and that of Hosni Mubarak didn't find people to defend and adopt them; therefore, they hired gangsters (Baltageya), camels, and mules to assail millions of crowds in the arenas. But those peoples were victorious. Some of those orchestrating the encounters of these peoples in Egypt and Tunisia have thought that the peoples will be satisfied with the departure of the governor and his family; hence, if Zeinul Abideen departed with Leila Trabulsi (his wife) and Hosni Mubarak with Susan (his wife), people were thought to renounce the revolution, leaving the rest of the regime unchanged. This was America's bet in an attempt to mitigate losses. [Sayyed Nasrallah interrupted the speech to insert this remark:]"A while ago, the brothers offered me a note, informing me that there is tremendous jamming of all satellites' channels. I don't know whether this is true or not. To fear words is an evidence of weakness - especially if the words are Lebanese. Lebanon does not have 50 million or 100 million residents, it has no oil! But God willing, we are going to have oil!" 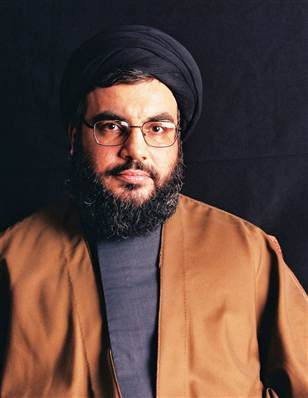 [Sayyed Nasrallah continued with the previous topic:] They were surprised that those peoples didn't return home, but rather they continued to advocate the overthrowing of the so-called transitional governments, and they did overthrow the governments. These peoples advocated the dissimilation of fake parliaments, and that happened. They requested that coercive security systems and policies be cancelled, and they were. These peoples continued to advocate and request, and they still continue to do so. This is what makes our great hope of the Egyptian and Tunisian people, who we call on for unity and harmony, particularly when it comes to major choices because - God forbid - division leads to an anti-revolution or to the reproduction of governing parties, regimes, or groups. This must be mainly avoided in Egypt since it has great influence on the Arab world, the cause of the Resistance, Palestine, and the Arabian-"Israeli" struggle. Our brothers and sisters in Egypt must recognize that all of us have our hopes on them, for they can influence all Arab and Islamic worlds with their position and attitude. Just as the peoples rebelled in Tunisia and Egypt, the Libyans did. A group of youth started at Benghazi, and they were confronted with bullets and murder. Then people rushed to embrace them, and the revolution moved from one city to another. There were demonstrations and civil disobedience, which were confronted with bullets, drones, and tanks. War was imposed on the peaceful and civil public revolution. What is going on in Libya is a war imposed by the regime on a people who wanted change without using arms. Hereupon, this people had the choice of self-defense without being an armed organization or having any military experience or enough weapons. War broke out against the Libyan people in the west and east. The drones, tanks, cannons, and rows of Katiosha-missile emplacements, which you and we have seen on television, remind us - the Lebanese - of the "Israeli" invasion in 1982 and of all of the "Israeli" wars. What Gaddafi is assailing his people with is the same as that of the previous "Israeli" war against Lebanon and Gaza. All of the noble in the world must condemn these great crimes committed by Gaddafi's regime. Besides, every person who can offer any kind of help to these rebellious people must do so in order to assist their steadfastness and tolerance of demolitions and massacres. Our rebellious brothers in Libya and our Arabpeoples must recognize that America and the west have offered the Libyan regime enough time to crush the revolution. Although they wasted all this time with sessions and so much talk, people were steadfast and tolerant. They fought and embarrassed the world with their steadfastness and tolerance. Had the Libyan revolution collapsed in a few days, a week, or two weeks, the world would have admitted, again, Gaddafi's regime, settled issues with him, and bought oil from him at the required and convenient prices. Gaddafi's money would have, anew, been into the pockets of presidents, European-Union MPs, and others. The steadfast of those revolutionists has changed the equation today. There's one last word I tell you regarding the Libyan issue: Those revolutionists have no choice but to be steadfast and fight. We have expertise regarding wars, combats, encounters, and psychological war, too. We can read faces and tell whether they are desperate, scared, or disappointed. Personally, my experience has allowed me to read the faces of the rebellious Libyan fighters and find dignity, high spirits, high readiness for martyrdom, and great determination against retreat or defeat. This offers hope. Certainly, the Libyan situation today is very complicated because of the international intervention that has commenced and that might lead Libya to the nation's league. As a result, the rebels must be aware and patriotic enough. The last thing I tell them is that the Lebanese Resistance was steadfast for 33 nights and days at a time when more than a hundred "Israeli" drones were shelling all regions - killing and demolishing. Today, in the name of this victorious Resistance, I send a thousand salutations to the steadfast Libyan fighters, in Benghazi, Ajdabya, Tobroq, Misrata, and all of the other steadfast, patient Libyan cities. Since we are speaking about Libya, we say that the greatest crime Gaddafi has committed against Lebanon, the Lebanese and Palestinian Resistance, and Al Quds has been the abduction and detention of Sayyed Moussa Sadr and his companions. Such crime is unforgettable and condemned. All of the honorable people, the lovers of Imam Sadr, and his sons are still concerned with this case. As for the recent praise of Imam Sadr by Gaddafi, who talked about the Imam's journey to Libya and referred to the testimony of the Libyan judiciary, it is all lies and hypocrisy, and this will change nothing about the Imam's abduction. We all know how influential Gaddafi's money is on the Italian government, Berluscone's government, and the Italian judiciary. We look forward to freeing the Imam from this tyrannical oppression. With respect to Yemen, where incidents, struggles, and wars preceded the revolutions in Egypt and Tunisia, there are major complications there. Killing many demonstrators, wounding hundreds of them, and oppressing a people who are advocating for their legal rights can't be ignored nowadays. We greet the steadfast Yemenis and rebels and their peaceful acts. Yemen is full of weaponry, whereby the Yemeni tribes have kalashnikovs, RPG's, cannonades, Dushka, and antiaircraft. Nevertheless, they manifest great awareness of self-discipline, steadfastness, and peaceful advocating of rights - away from declination into civil war. Speaking of Bahrain, we have all witnessed what has gone on and what is going on there. Through detailed follow-up of the incidents of the region and of Bahrain, I can tell the people over there are the most oppressed. As you know, Bahrain is a small island whose residents do not exceed a million. Those peaceful and oppressed residents demonstrated in the hundreds to advocate for their rights. There weren't thousands or tens of thousands, and the government could call on for dialogue without shooting those young people. However, the government started to kill and called for dialogue while killing. Still, the people of Bahrain reiterated their national unity and patriotism and that they weren't acting upon a regional or sectarian background. Armies were brought instead of policemen. Many were killed, and others were wounded or arrested. Brothers and sisters, here is a weird paradox. Neither the Arab League nor the Arab governments sent an army to support the Libyans, who were being bombarded with different weaponry. On the contrary, the League and the governments sent armies to Bahrain so as to defend a regime that hadn't been endangered in the first place. It is true that the demonstrators were using the slogan of overthrowing the regime, but peaceful demonstrations cannot overthrow Arab regimes of this kind. The opposition in Bahrain was totally peaceful and caused no harm. Still, Arabcountries were brought to fight it. It is such a strange paradox; they even broke into hospitals and assailed the wounded, and they destroyed the houses of some opposition leaders. By the way, this is the "Israeli" way of dealing with our Palestinian brothers. Every time a Palestinian fighter is arrested, the "Israelis" destroy his house. In Bahrain, this is what they do. They even destroyed Alulua (The Pearl) Round because they cannot tolerate the rebels. But I tell you that you can tolerate all this since the tyrannical are usually brutal, and fighters usually offer sacrifices. But the greatest oppression is the malicious sectarianism. Before criticism, I have to greet the Muslim Sunnite religionists and movements in Lebanon and the Arab and Islamic world. I greet all the attitudes of national, Arab parties, forces, characters, and nationalists. Particularly I have to be very grateful to the Turkish Prime Minister, Recep Tayyip Erdoğan, for his special, expressive attitude. Here I would like to ask some Arabs and Muslims about the oppression against our people in Bahrain and the ignorance of their peaceful advocating of rights, about the conviction of their movement. Were all of those martyrs and wounded convicted simply because they were Shiites? Does belonging to a religion and a confession deprive a person of his human and normal civil rights? Unfortunately, this is the question. Does the Shiite majority of the opposition in Bahrain deprive it of its rights and dignity and make of it an easy victim? Does this make accusations and counter-advisements legal? What is right and just about this? Brothers and sisters, all of us - Muslims, Christians, Sunnites, and Shiites - have consolidated with the Palestinian people without asking what their confession was. We know that the Palestinians are Muslim Sunnites and Christians, but we don't inquire about the confessions of the Palestinians, Tunisians, Egyptians, Libyans, nor Yemenis. It's been our duty to consolidate with them, and none of them is obliged to us. Iran was on top of the consolidators with the oppressed and the tortured, whereby His Eminence, Imam Khamenei (Long live His Honor), has supported all of these tortured peoples with a special and great attitude. Did Iran support Palestine on a sectarian background or on the basis of belief, humanity and ethics? Isn't this the truth? I denounce the way some call the Egyptians to demonstrate and then ask the Libyans to kill Gaddafi, but when it comes to Bahrain, where none of the opposition wants to kill anyone, none supports the opposition, but they withstand it. Today, I am going to inquire very bravely, although I've never wanted to inquire about any Arabregime, and you have known Hizbullah's history for the recent years - today, what is the difference between the regime of Al Khaleefa and Al Mubarak? What difference lies between the regime of Al Khaleefa in Bahrain and that of Gaddafi in Libya? Is there democracy or regard of human rights? Are these regimes denouncers of America and Israel? When a people denounce the "Israeli" regime, we ask its people to be tolerant, give attention to priorities, allow dialogue, and approach issues differently in cases of some inner problems. But most of the Arab regimes are submissive tails. Anyway, what's happening in Bahrain is not the movement of a confession or doctrine; instead, it is a weapon which the disabled use against anyone with a just cause. However, this will not defeat the will of the rebels or the liberals in Bahrain. What I say to the brothers and sisters in Bahrain is: Don't give your ears to the sectarians, their counter-advisements, or media. There are religionists and important Sunnite voices in the Islamic world. They support your rights and consolidate with you. I tell you, persevere and be patient and steadfast to defend your rights. I tell you this because I know the people. You have a wise, aware, and courageous leadership, so listen to it and harmonize together. Your wounds, brothers and sisters, will defeat the oppressors and tyrants and make them admit your legal rights. Your cause deserves sacrifice, martyrdom, and perseverance - even if this is going to take time. As for the governors in Libya, Bahrain, and Yemen, I address them: How do you imagine the future? How do you think your governments could last and your regimes could endure after all the oppression, crimes, and humiliation you've perpetrated? No matter how stubborn you are, you are doomed to be defeated, so respond to your peoples before it is too late. Fifthly, the Arab and Islamic countries must hold responsibility for what is going on in every Arab country. Yes, their duty is to interfere by sending armies to defend the peoples and prevent foreign intervention instead of oppressing them. Unfortunately, today, upon the renouncement of responsibility by most of the Arab and Muslim governors, western and American intervention has easy access into Libya. We don't know what will occur in Libya. Allowing access to foreign intervention with every Arab country will take us back into the era of occupation, direct settlement, division, or whatsoever. In this critical, historical stage, it's every capable person's duty to help find solutions. For instance, today, in Bahrain and Yemen, there's a crisis of trust between the opposition and the authority. Undoubtedly, some people support the authority, whereas the majority supports the opposition, which has its reasons not to trust the authority. Where is the Arab mediator or the Islamic-Conference Organization? With respect to the opposition and the authority, there are trusted countries within the region that can play a mediating role now. Instead of sending armies to Bahrain, those countries should've sent their foreign ministers for the sake of true intermediation, which is still possible. Since today we consolidate with the Arab peoples, I call on governors, religionists, elites, political powers, and anyone who has an influential capacity to try to find right solutions to maintain the geographical unity and sovereignty, to protect souls, and to achieve the best of the advocated quests of the oppressed people. Within the remaining minutes, I'd like to speak concisely of the Lebanese situation. In the past two months, we've witnessed the decline of the previous government and the designation of a new character to form a new Lebanese government. We've witnessed an organized and programmed call for "disarmament", which is persistent in different forms. Everything that could be said - whether true or not - was told. Different media were used - banners, ads, channels, even cartoons like Mufasa and Simba [Characters from The Lion King Movie]. Firstly, all that they've said during their crowds, festivals, and speeches did not bring them any harm or even a slap on the face. This is enough proof that we haven't pointed a gun at anyone. But in the other Arab countries, the citizens do much less than this, and what do they get? Much more. These are apparent facts. The Lebanese Army, Lebanese security forces, and the forces of the new majority - mainly Hizbullah and Amal Movement in Beirut - have been actual partners collaborating day and night to protect those who revile, swear at, and assail the Resistance. Is there any further maintenance of freedom yet? You say and do whatever you want, and you provoke and incite, but none assails you. This gives great evidence that no guns are pointed at your heads. Speaking of the content, in the last two months, we've heard nothing new to comment on. All that has been said is repetition of the previous talk, slogans, and accusations. Therefore, we need no further discussions. The issue of the Resistance can't be handled through incitement. We've always said we are ready for dialogue because we have logic, vision, experience, and brilliant evidence. Our school of country defense is being taught at the greatest and most important military faculties in the world. I reiterate that all of the noise you are making will not affect the performance of the Resistance, which continues its training, armament, organization, and preparation to elevate its level and further collaborate with the army and the people. The last of this collaboration results has been the dismantling of the espionage device in southern Lebanon days ago. Therefore, all your noise won't affect the spirits, the performance, or the readiness of the Resistance. It won't affect the belief of our audience, but it will reinforce it. Soon, when any Lebanese government decides to dig the southern sea for oil or gas and "Israel" threatens it, we'll only find the Resistance imposing Lebanon's respect and its rights of digging for oil and gas on "Israel" and the whole world. How should we defend ourselves and our oil and gas? With poetry? Banners? Neckties? That day they "made us see the jacket". I'm only saying this for humor. Of course, everyone can "wear and take off whatever he wants". In all of these cases, this campaign aims at dragging the Resistance into bickering, but you need to know that we still keep our decision not to do so. What should we do? Should we explain the necessity, benefit, seriousness, production, and accomplishment of the Resistance? People know that, for they have made this - not we. We just express it. We won't be dragged into bickering - you must know. Talk, discuss, and make as many speeches as you want. Of course, once we find an argument worthy of discussion, we'll discuss it since we respect people's minds, talk, and speech. There is another purpose behind bickering; they want to provoke us and incite sectarianism. This is why I ask youth to listen to me; we must not be provoked. Be as "relaxed as you can" when you hear or watch. If you can't tolerate that, don't listen and watch. We must not be provoked, for when we read the Wikileaks cables, we find out that there's always a 14-March team that seeks to inflict uproar among the Shiites and Sunnites in Lebanon. This is their aim beyond provoking us. They've been hoping to drag Lebanon to this uproar through the Special Tribunal for Lebanon, the accusations of Daniel Bellemare, and the oppressive conviction. I've told you they won't be able to do this to us - thanks to God. Although the conviction hasn't been issued yet, we know what the story is, so we consider it has been issued, and it is worthless. No Sunnite-Shiite uproar has or will take place in Lebanon. They have lost the authority they are yearning for now as a price for the conviction, but it's not the fault of the Sunnites or Shiites. We needn't worry, but we have to tolerate all what media expose. There are those who get "mad", but nothing is dangerous. The Resistance, its arms, presence, and audience are alright. Its eyes and weapons are always aimed at the enemy. Still, "none should annoy it." The third point concerning the Lebanese issue is the Wikileaks cables, which make obvious how great were the bets and hopes on the "Israeli" War against the Resistance. They also show the gravity of the disappointments upon the victory on August 14. We'll wait till the last cables show up and see what's going to happen. Then we can talk. The first is what Jeffrey Feltman, Michelle Sisson, or others say. It includes their analysis, hopes, and emotions. We have no problem with this. "Let them analyze the way they want and wish for whatsoever. We have been victorious, but they have been disappointed." Concerning this section, if any politician or MP denies a fake speech, we'll accept that. "What more do you want?" The second section isn't about analysis; it's about requests. Someone asks the American ambassador to make "Israel" occupy Bint Jbeil. Another requests that the war not be terminated unless Hizbullah is demolished. A third requests what follows before war ends: multi-national forces at the Lebanese-Syrian borders. "You have to place whatever on the borders. You just have to keep Hizbullah away from victory". This is not an analysis, neither is it an emotion. This is an incitement of "Israel" - who is conventionally known as the enemy of Lebanon - to kill, shell, and destroy a part of the Lebanese nation, its Resistance, and its army. This is not a mere emotion; it is another issue. As for the second part regarding characters, I divide it into two sections, too: The first section has revised its attitudes and political path and changed direction, declaring its support of the Resistance. Good, what do we want? This is it. Yet, another section still declares and practices what it mentioned in Wikileaks in 2006. It has been and is still provoking and calling for the destruction of Lebanon for political and partition reasons. It has conspired against the Resistance and still does. Actually, we want to file cases at this point. We're not going to organize demonstrations or the like. The civilians of Bint Jbeil, Eita, southern and northern Litany, and all those who were shelled are going to file cases civically. We will pursue he who said, "Strike them and shell them" on the 15th of July. Then this character has to be sued, for many have died after July 15 because of his request. We'll see how the judiciary acts towards this issue. So we have a new file like that of the false witnesses. We want to discuss it; we haven't yet. In 2006, we had information, but we didn't expose it. I want the whole world to know that I say this is the noblest Resistance and these are the most honorable, sincere, and pure people because I know how others conspired against us and sought to demolish us. Still, on September 22, in the festival we organized to celebrate victory after the July War, I called on those who conspired against us and killed our companions and children to cooperate with us and build and protect Lebanon together. But today these issues are exposed in newspapers, televisions, and websites. However, we will act with courtesy and file judiciary cases against those who were caught red-handed. As respects the government, I say briefly: Yes, there are constraints. Firstly: With respect to the formulation of the government: You have to get the new majority to account for this since the Bristol Meeting when March-14 forces declared that they won't participate. We have to count since that day - not since the designation of MP Najib Mikati. Of course, there are great constraints on MP Mikati - ambassadors, countries, a question of the nature of the government. There are foreign constraints that don't want us to form a government with the new majority. How's that? This majority has the right to formulate the government. There's discussion of the parties of the government and constraints on its formulations, ministerial statement, and future policies. It is not simply the matter of inner conflicts. The new majority has its requests - which I believe are just and have to be discussed. Any formation of a government in Lebanon happens this way, and what's happening now isn't strange, but it may take some time. It is a matter of constraint. You can hear March-14 forces, asking MP Mikati to formulate a technocrat government every time they have festivals and make statements. What does this mean? When you constituted the majority, did you agree to have an intermediate MP that could formulate a technocrat government? Is MP Mikati agreeable or a minister selected by the new majority amid a political conflict in the country? Consequently, MP Mikati is under different constraints. These are conflicts - the inner ones are normal, but the foreign ones are not. You know how much foreign intervention there is - American, French, western, and Arab constraints on the designated MP. If we need to show such details later, we'll be ready for that. To end the topic of the Lebanese situation, I want tell you: God willing, the new majority will work on formulating a new Lebanese government headed by MP Najib Mikati. This is a political challenge that we all - as the new parliamentary majority - have to encounter. In this consolidation meeting, I greet the souls of the pure martyrs of Tunisia, Egypt, Libya, Bahrain, Yemen, and Palestine that has offered and still offers martyrs every day. To our honorable fighters and our rebellious, steadfast peoples I say: Your spring has commenced, and none will stop it or take you back to another autumn. Your faith, steadfast, and determination are stronger than all challenges. You and we will be victorious - God willing. God's peace, mercy, and blessings be upon you.